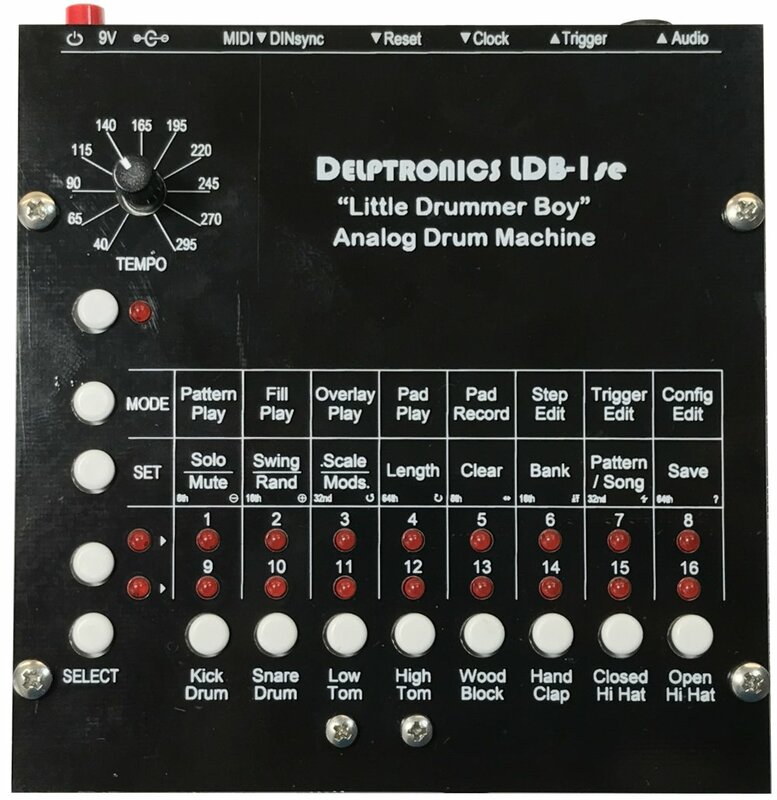 The LDB-1se is the second edition of Delptronics&apos; modern classic LDB-1 “Little Drummer Boy” Analog Drum Machine. Our goal was to recreate the warm analog sounds of the legendary 80&apos;s machines, like the Roland TR-606 and TR-808. 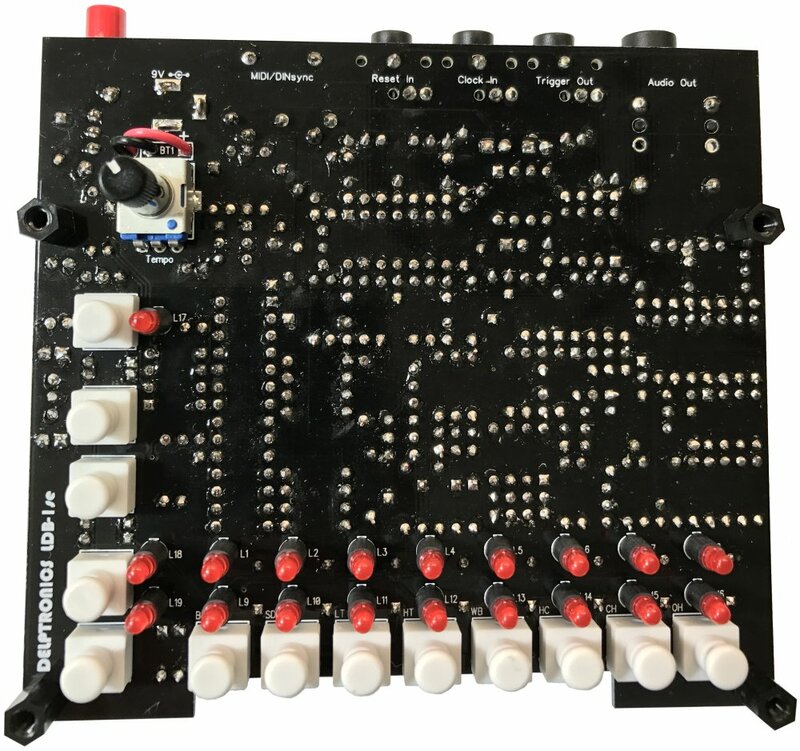 The brain of the LDB-1se is a microcontroller that is more powerful that anything available in the 80&apos;s, enabling us to provide all the features of a modern drum machine sequencer. Easily interfaces with other instruments, synthesizers, drum machines, sequencers, DAWs, etc. through analog connections, MIDI, and DINsync. 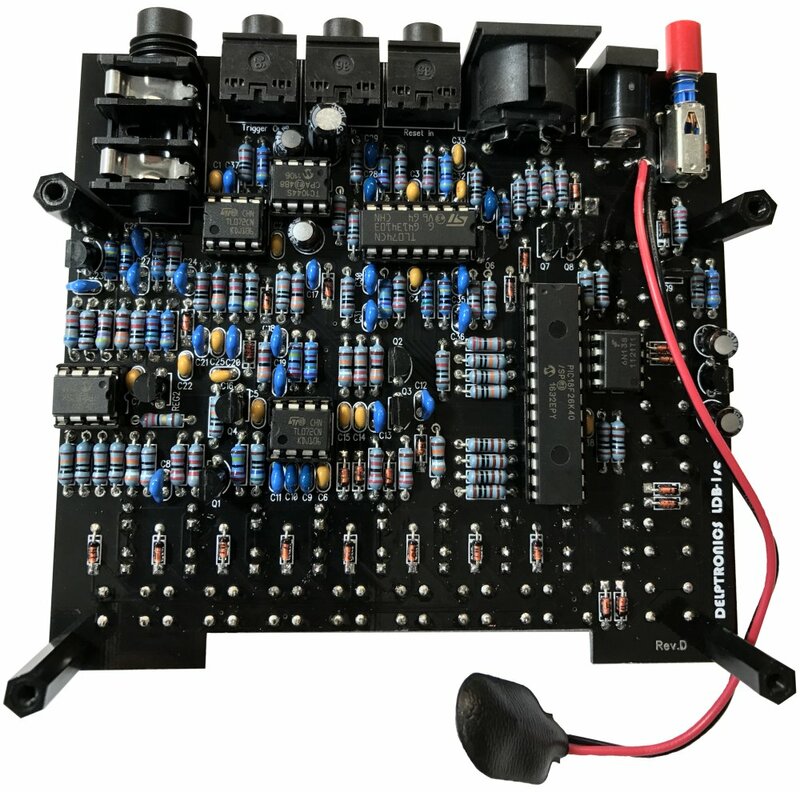 Many more parts and features than the original LDB-1 kit — at the same price. between the original LDB-1 and the Second Edition. The kick, snare, clap, and hi-hat sounds have changed (improved). The audio output jack is 1/4", instead of 3.5mm. There are 16 step LEDs, instead of 8. It comes with a control panel and battery holder. The firmware is updatable via MIDI. There are 48 editable patterns, instead of 32. There are many, many more playback modes and editing features.